LabLink’s Laboratory Connection Products are used for the containment and connectivity of power, communication, data, air, gas and vacuum services. Versatile and functional, these LabLink products accommodate wiring projects as well as those that require communication/data and lab services. 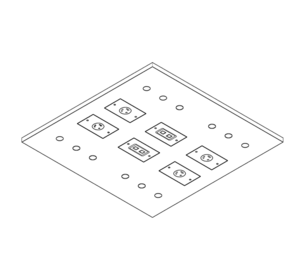 All products are manufactured to fit a variety of lab furniture and surface mount configurations. LabLink’s Laboratory Connection Products are made of high quality extruded aluminum, providing a modern aesthetic appeal and easy to clean corrosion resistant surface. Our standard finish is a clear satin anodized aluminum with powder coating available as an option. Custom designed power strips to meet your unique needs. Vertical raceway systems incorporating power receptacles, phone and/or data connections. 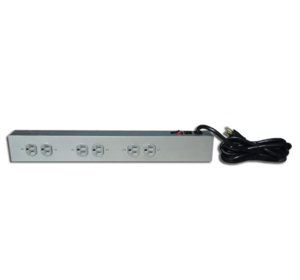 Provide access to power, phone, data and/or service outlets typically installed between the uprights of a lab bench. 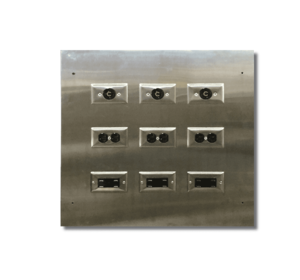 Provide additional power and USB charging ports for most electrical, phone, and data devices in the lab or workspace. 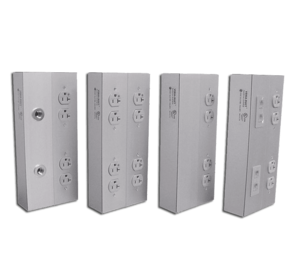 Provide power, phone, data and/or service outlets via umbilical cords accessed from the ceiling. 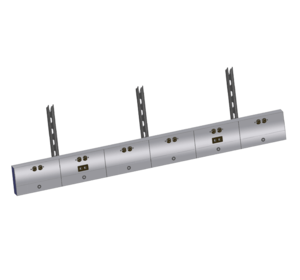 Combine electrical, phone, data, and/or service outlets into an overhead system.